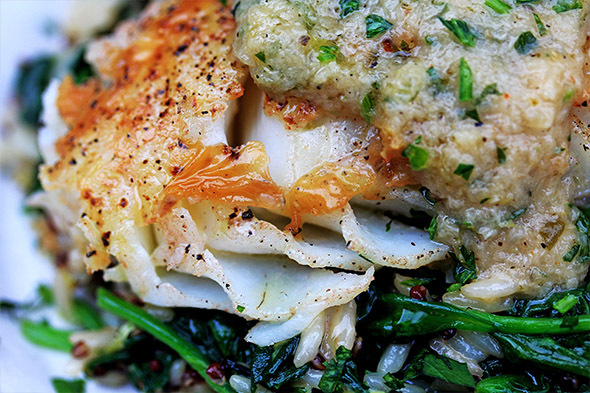 Cod has always been one of my favorite proteins from the sea since I was a kid. 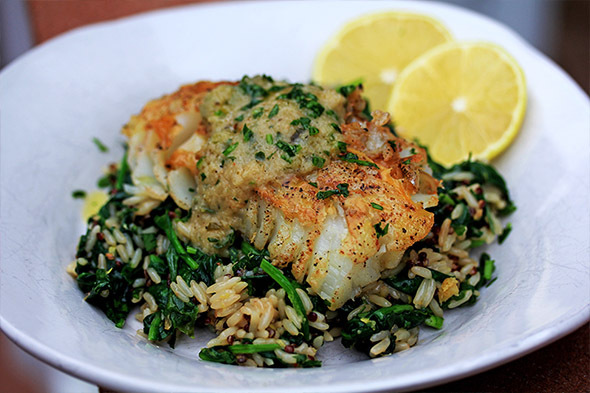 I remember taking family trips to a now-extinct restaurant called Chesapeake Bay Seafood House, and they served this INSANELY good fried lemon-pepper cod. I got it every single dang time we went. I can literally still taste it and it’s been well over 15 years since the last time I took a bite there. I’m sad thinking about it now. They even had amazing hush puppies. Man, this is restaurant heartbreak I’m going thru at this present moment. I could cry. I have never been more sad about a restaurant closing, ever. Somebody hold me. Anyway, I still love cod prepared just about any way. Beer-battered, seared, baked, roasted, broiled, oven-fried, it doesn’t even matter. 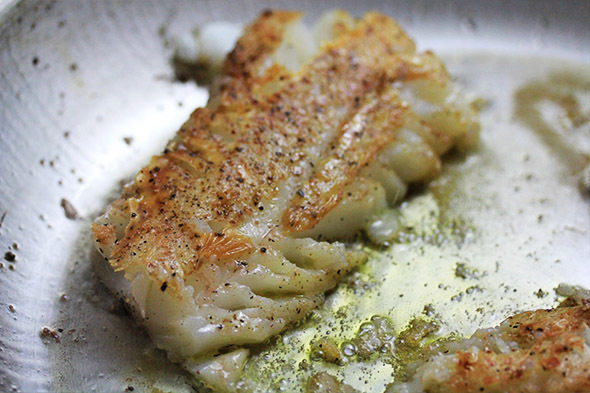 Cod is flaky, light, firm, and tender all at the same time. 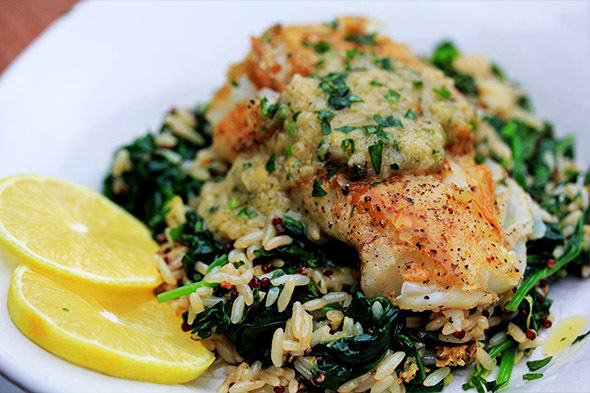 It’s a great versatile fish that everyone should embrace into their homes and tummies. 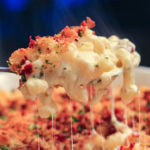 For this recipe, I took a whole skinless filet and cut it into four pieces, but if you can get your fishmonger to give you skin-on, and/or have him cut it for you, that would be even better. I’m resourceful though, so I worked with what I had on hand. 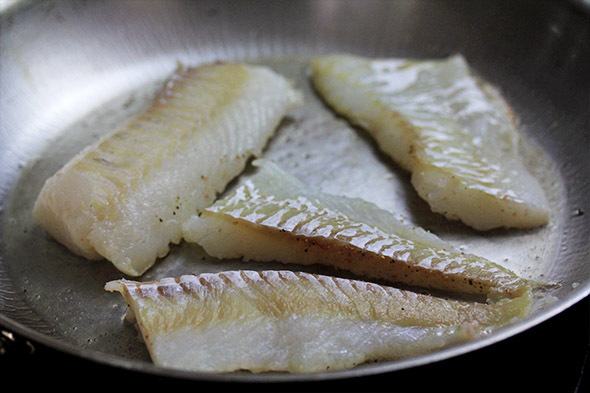 This is a good thing though, because I can show you how to sear cod that doesn’t have it’s delicious skin attached. Because it’s a moderately lean fish (not as fatty as salmon), we have to give it plenty of good healthy fat to sear in, and let the natural sugars caramelize the surface so we get a nice color. If you use a non-stick pan, that would be great! I used my All-Clad skillet for this, which was what I grabbed first. If you use a stainless steel skillet, PLEASE use a fish spatula to flip this — otherwise you can seriously tear up your fish. It will still be edible, but it won’t be as pretty. As with any sear, make sure you allow the protein to actually develop color before trying to flip it over. Rule of thumb: if you try to flip it, and it’s completely stuck, that means it’s not ready to be flipped! Flipping should be a moderately easy process. 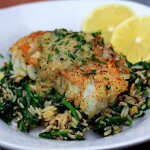 Even with a skinless filet of cod, you’ll meet a slight resistance, but it shouldn’t be TOTALLY stuck, okay? So be careful flipping it, I cannot stress this enough. 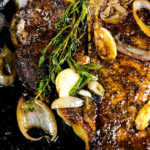 I will leave a note at the bottom of the recipe to help you better fool-proof this whole searing process. 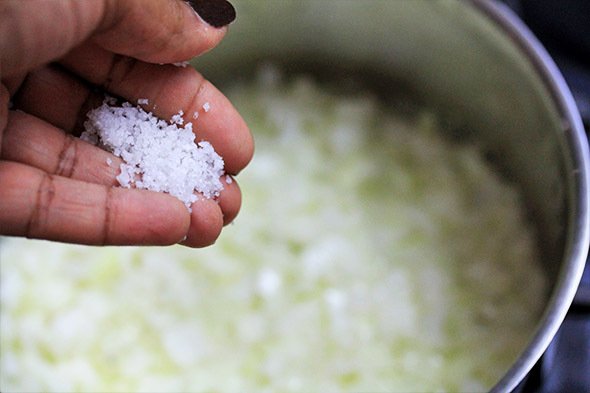 Basically, if you’re nervous or don’t have proper cookware/tools, lightly dust both sides with a tiny bit of either flour, rice flour, or corn starch. That’ll help you out if you’re super nervous about doing a naked sear. 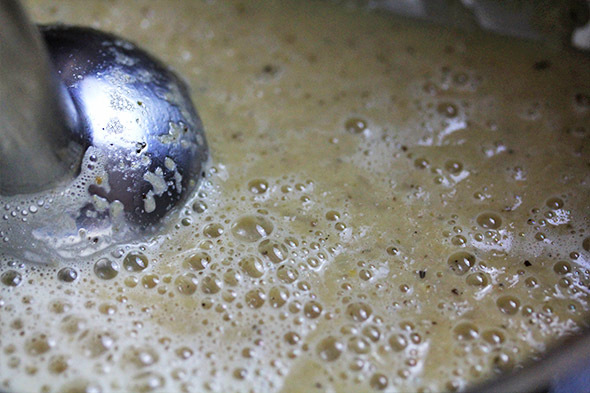 Also, if you don’t have an immersion blender (make sure you get one btw), just puree the beer & sweet onion butter sauce in a blender or food processor. meet the cast. the fish will make it’s debut later, because fashionably late. 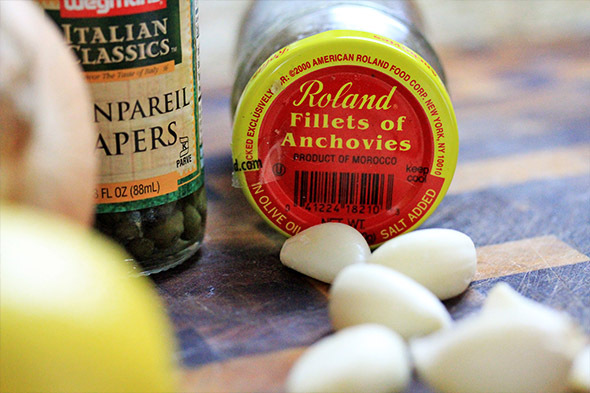 i suggest every home cook have a jar of these delicious umami-bombs aka anchovy filets. trust me. they are amazing. you can leave these out if you absolutely cannot find them…but i highly suggest you find them. 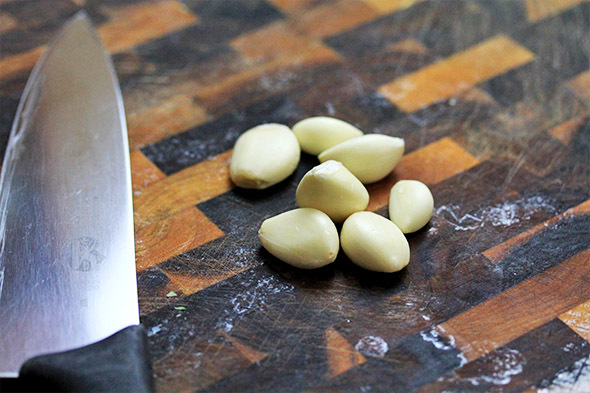 grab as much garlic as you would like. then chop it up like so. 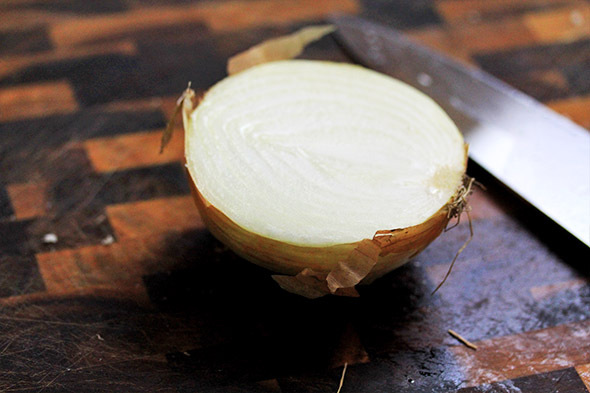 chop a large sweet onion in half, or use a small one. if using a large, wrap it up tightly with plastic and save for another use. 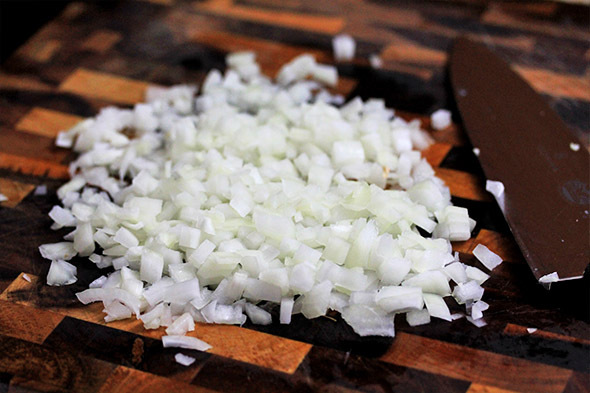 chop the onion like so, a small dice. 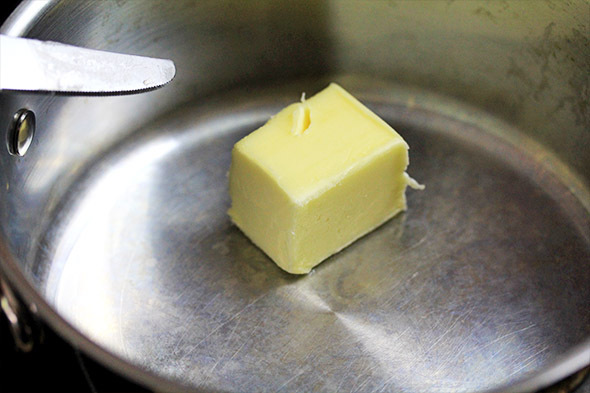 melt about 3 tablespoons of unsalted butter in a medium saucepan over medium heat. 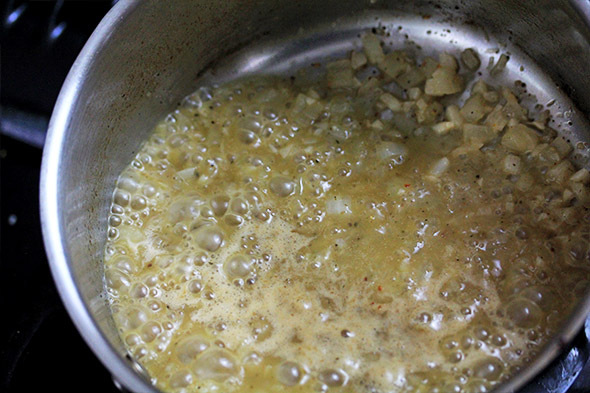 once the butter starts t melt, add the onion. 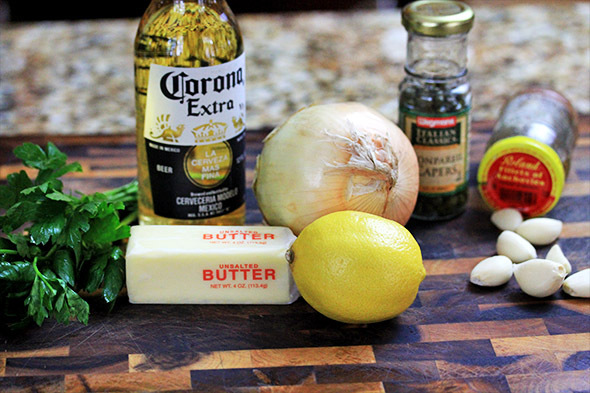 make sure all of the onion is coated in the butter. now we’re gonna season it up. 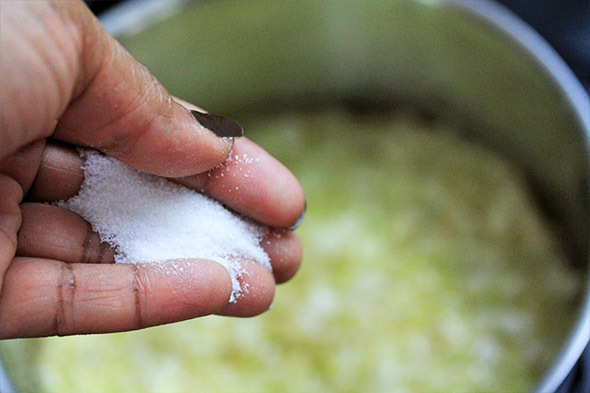 first, add a good pinch of sea salt. 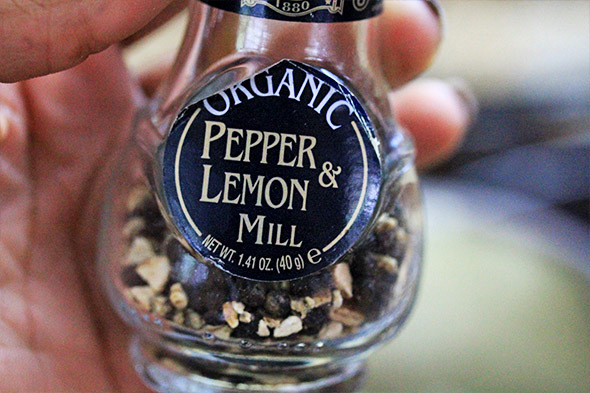 some lemon pepper, or regular pepper. 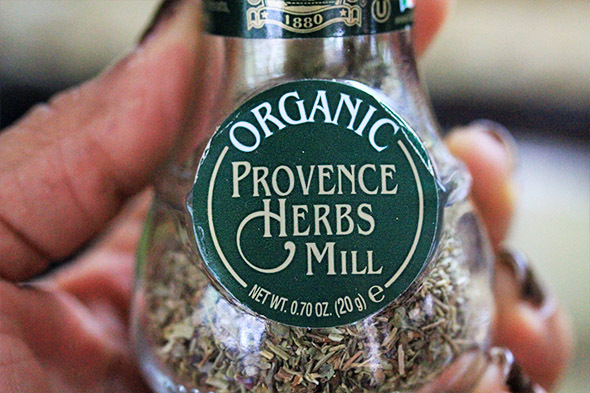 and my absolutely favorite herb mix of all time – herbes de provence. this is about how much i added, no measuring, just eyeballing. toss everything around until its coated. 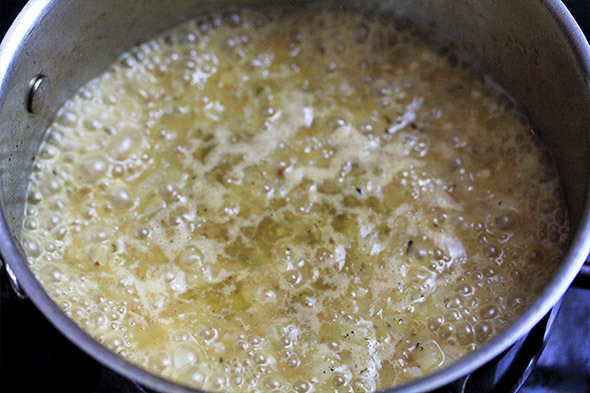 add a few drops of olive oil, not too much, just a tablespoon or so. add a good pinch of sugar. let the onions soften and become translucent. this takes about 5 to 8 minutes. 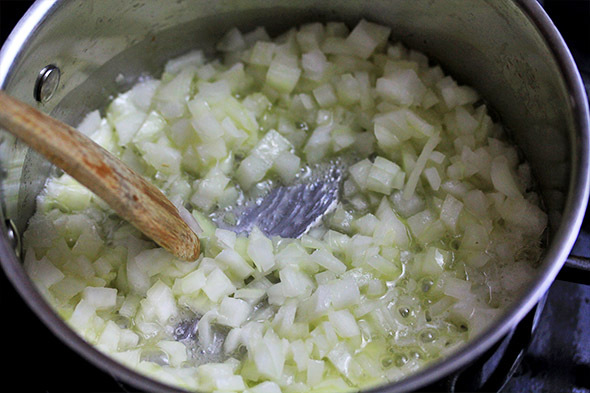 once the onions are softened (but not mushy), add the garlic. 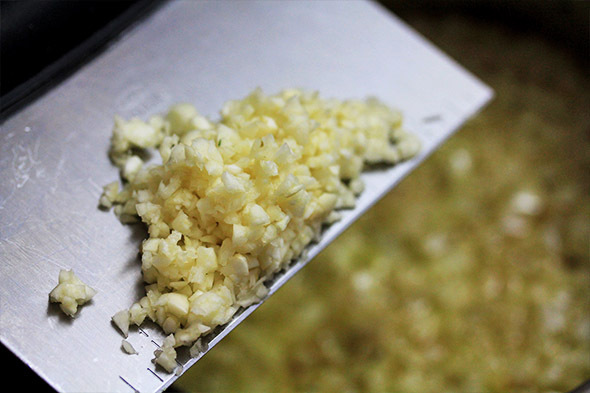 cook the garlic for about 30 seconds to take off their edge. thennnn, carefully add some beer. the whole bottle. don’t be chicken. it’s nice and settled, stir it up a little. and bring it to a boil. 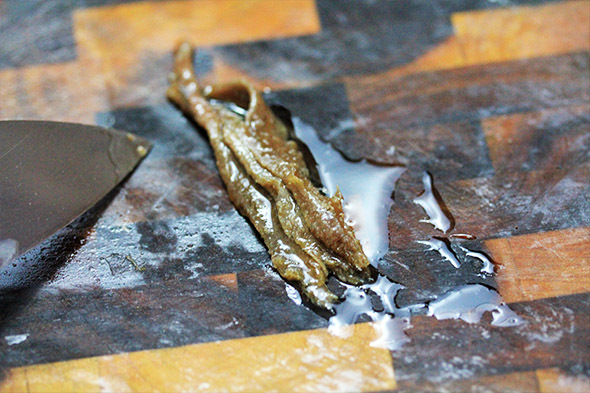 chop up about 3 small anchovy filets, really finely until they’re like a paste. toss them in the beer mix. 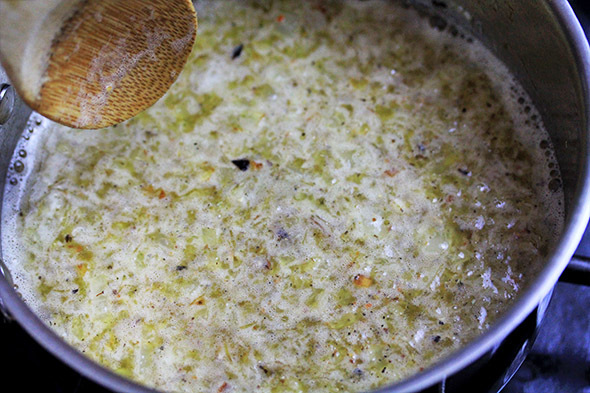 continue to let this simmer and reduce for about 10-15 minutes over medium heat. keep an eye on it, it could go faster or it could take longer. but what you’re looking for is something like this. turn the heat off. now i’m gonna puree it with my stick blender. but i’ll have to tilt the pot because you see those holes? the sauce will fly out if i press “on”. 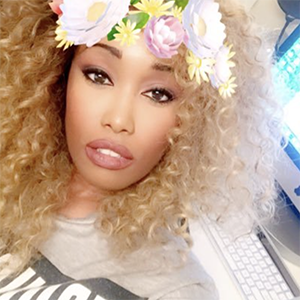 you want to always make sure those holes are submersed in whatever you’re pureeing. it will be a huge mess otherwise. see how the holes are submersed now? thats because i’m tilting the pot. blend the mixture until smooth. 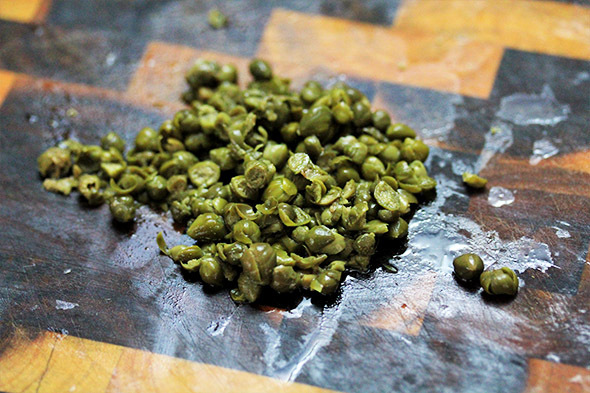 chop up about 1 tablespoon of capers. throw in some fresh herb. 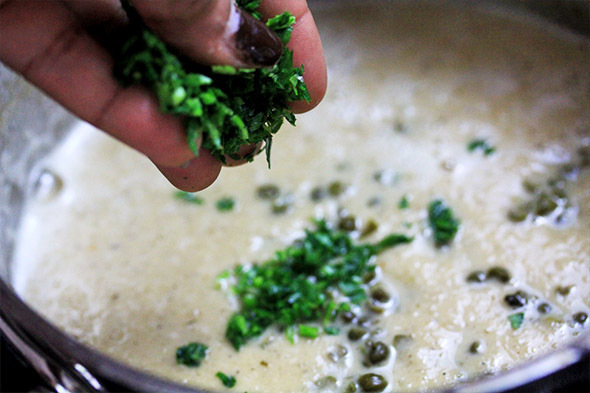 i’m using parsley. dill or tarragon would be okay here too. 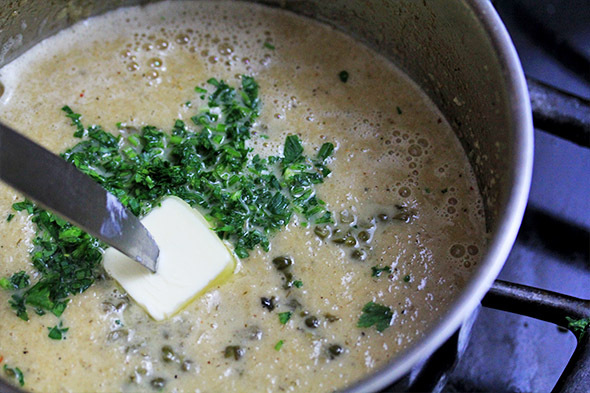 melt about 2 tablespoons of cold unsalted butter into the sauce. with the zest of half a lemon, and a few squirts of fresh lemon juice. now, onto the fish. 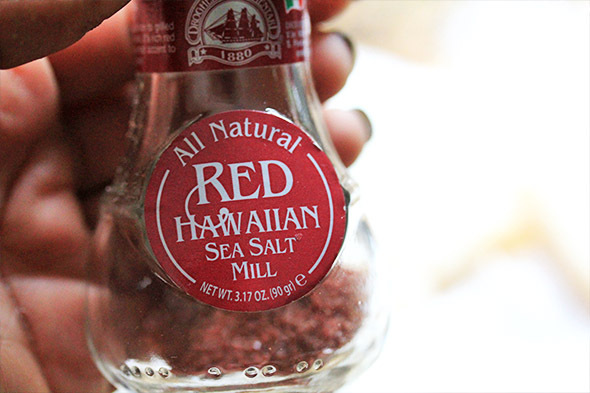 i’m using this red hawaiian sea salt on my cod, but you can use any salt you have on hand. 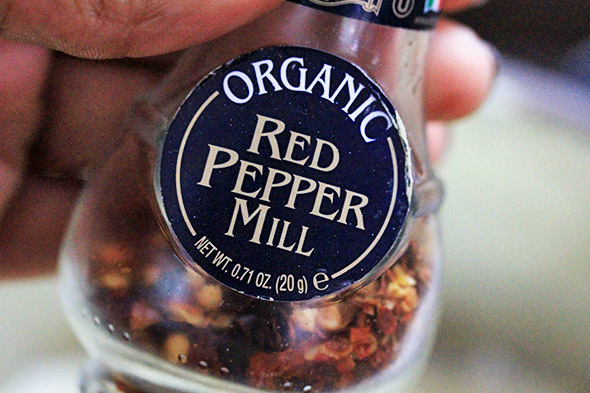 i seasoned the fish with this, and lemon pepper. meanwhile, get your skillet searing hot. you’ll know its hot enough when you sprinkle water in it and it beads up and runs around like a headless chicken. 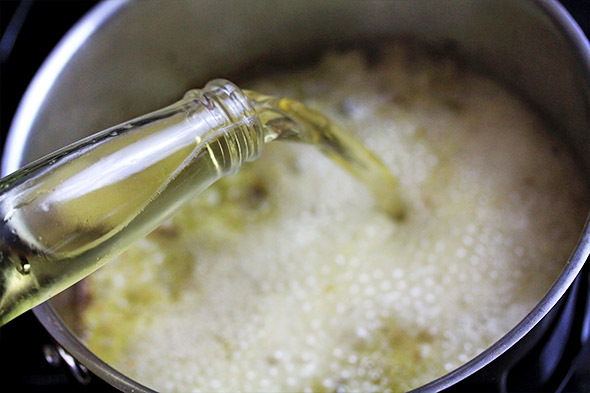 pour in some oil, just enough to thinly coat the bottom. gently place each piece of fish down, making sure there’s enough oil underneath every piece so it doesn’t stick too badly. season the other side of the fish while it cooks. 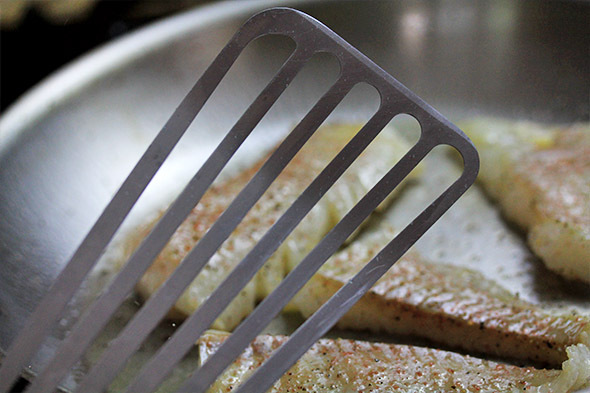 if using a stainless steel skillet, PLEASE USE A FISH SPATULA! do NOT flip this fish over until it’s ready. be careful, it will be flaky and tender and some parts will tear no matter how careful you are, but the goal is to prevent tearing this fish up to smithereens. reduce the heat to medium, and don’t scrape up what’s left from the fish, leave it in there. 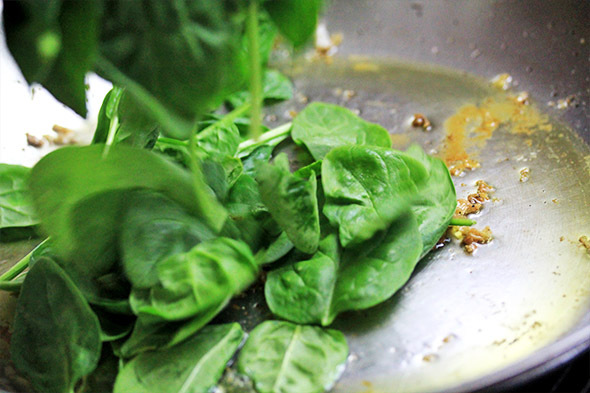 maybe add another tablespoon or so of oil if needed, but start to pile the spinach into the pan. it’s always a huge mountain but as you know, this will cook down to damn near nothing. 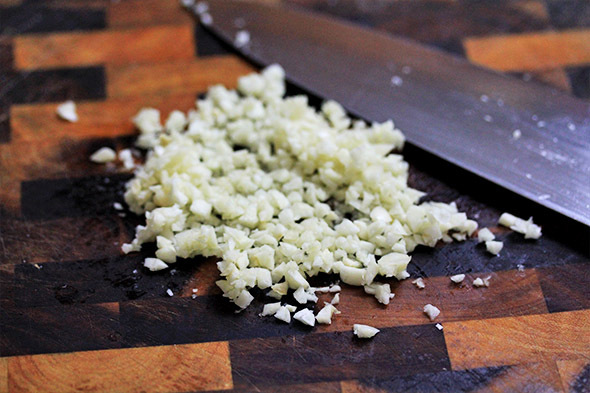 season it up with salt, pepper, granulated garlic, red pepper flakes, or whatever you’d like. 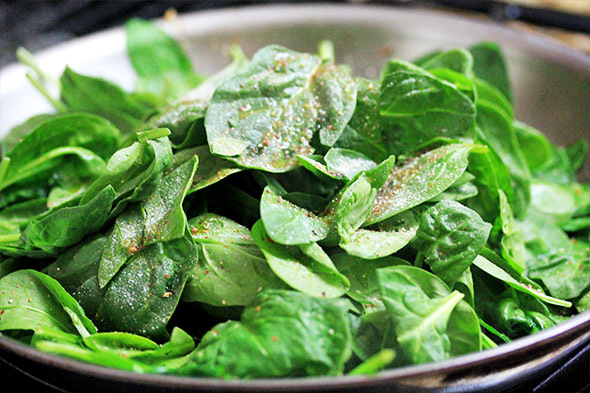 start to gently flip the spinach around and at this point, turn off the heat. the residual heat will continue to cook and wilt the spinach down. 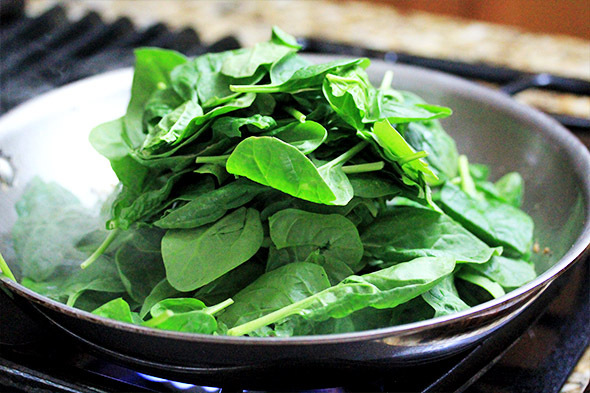 you don’t have to do this part, but if you don’t want it too wet, you can drain off some of the liquid from the spinach. i dumped about half of what you see here. 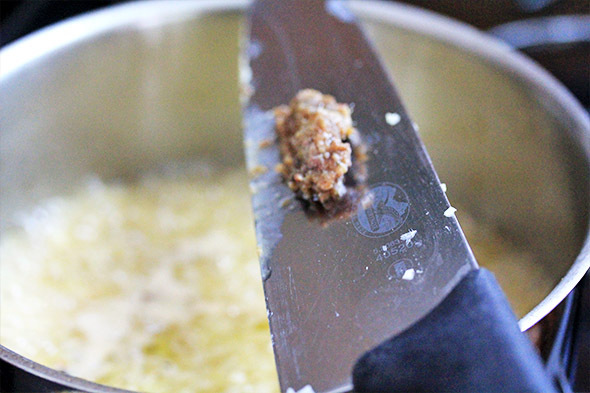 add some butter, about a tablespoon. microwave some rice, any kind you’d like. 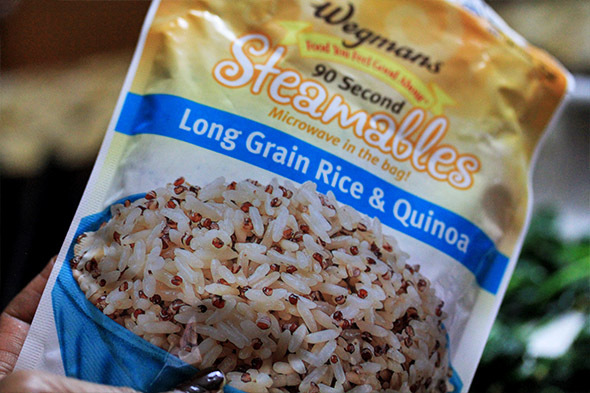 i love these little 90-sec pouches, they come in handy for SO many things. 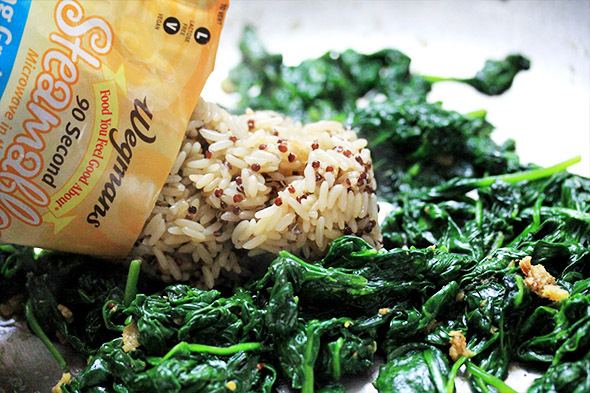 once you zap it for 90 seconds, add it to the spinach. toss everything around until it’s evenly combined. add the other half of the lemon zest. mix it all up, plate, and serve. 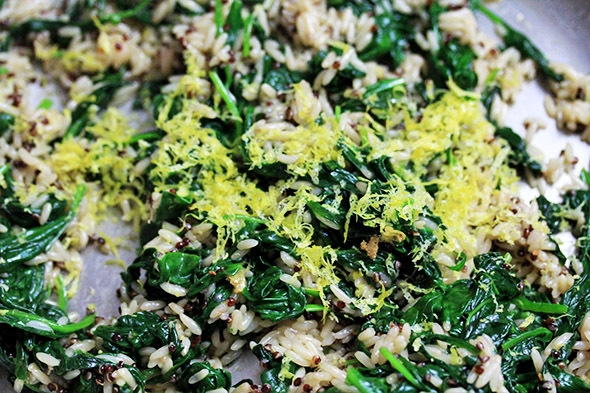 serve this baby up with some sliced lemons, and maybe a very light drizzle of olive oil. close-up shot, that beer sauce is amazing on this fish. 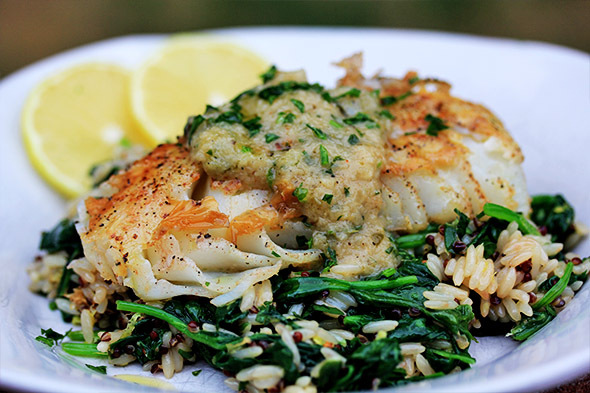 This recipe will work for skinless cod in a non-stick skillet even better. There is a smaller chance of it sticking and tearing up on you, but if all you have is stainless steel, then you should follow my instructions as best as you can. Please read the note below the recipe if you choose to use a non-stick skillet, or are terrified of your fish potentially sticking due to lack of experience — which is all good, we have to start from somewhere. 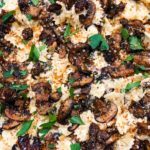 Serving size will depend on how much of everything you prepare. 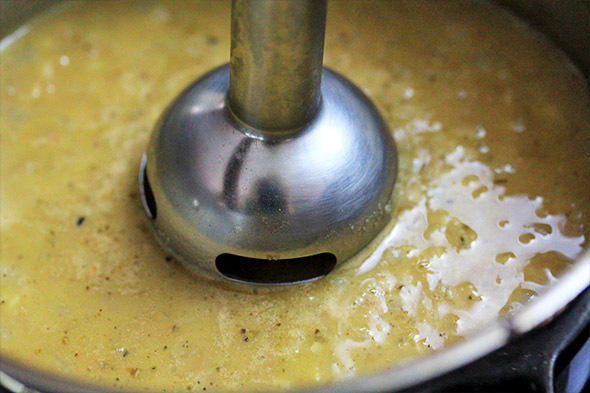 Melt 3 tablespoons of butter in a medium sauce pan over medium heat. 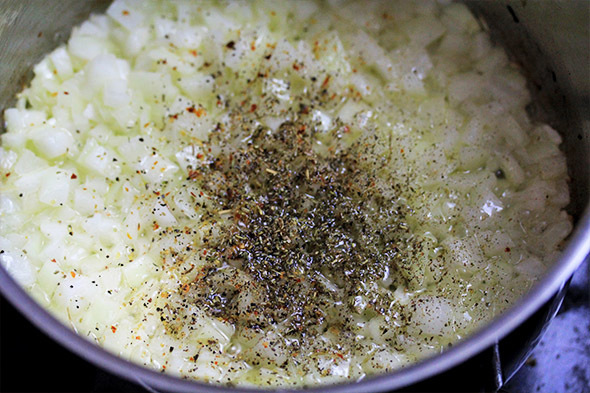 Add the onion, salt, pepper, herbes de provence, crushed red pepper and sugar. Stir to combine. 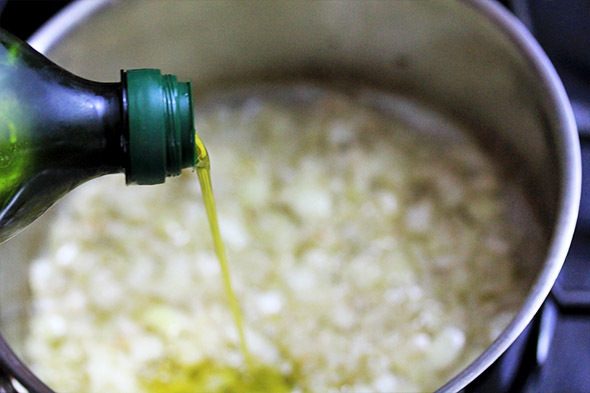 If needed, add about 1 tablespoon of olive oil. 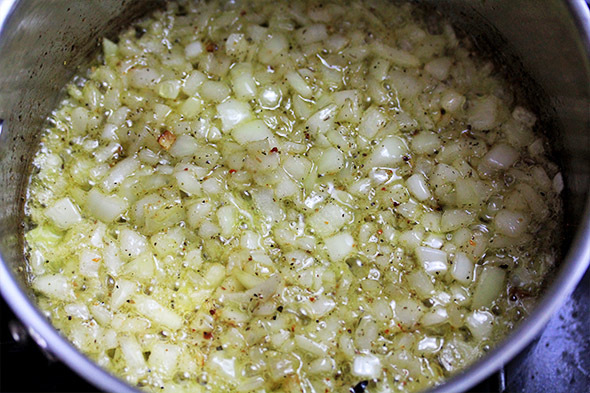 Cook the onions until softened and translucent, about 5-8 minutes. 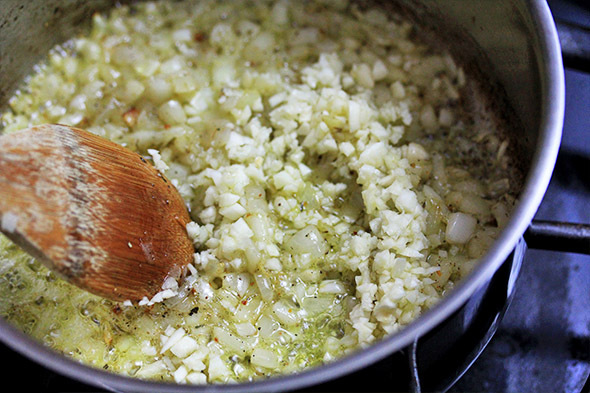 Add the garlic and cook for 30 seconds. Add the beer, carefully! Stir to combine. 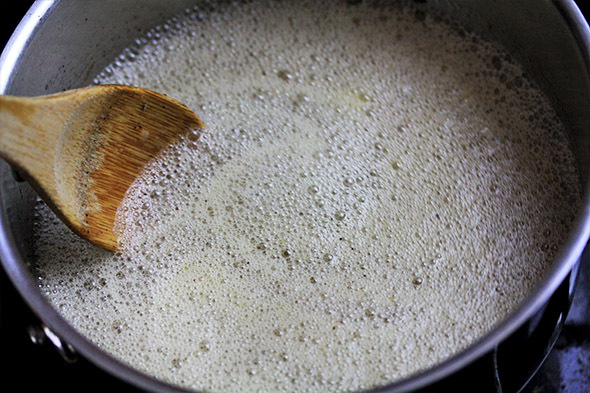 Bring the beer to a simmer, and allow it to reduce for about 8-10 minutes. Once it’s reduced by half, give it a taste and adjust if need be. 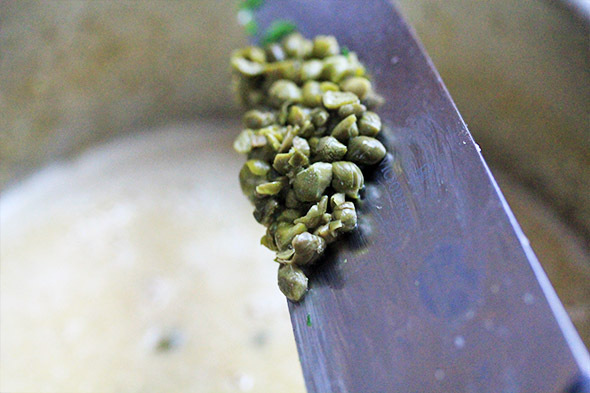 Turn off the heat and puree the mixture until smooth, by way of immersion blender, food processor, or blender. Don’t strain it. 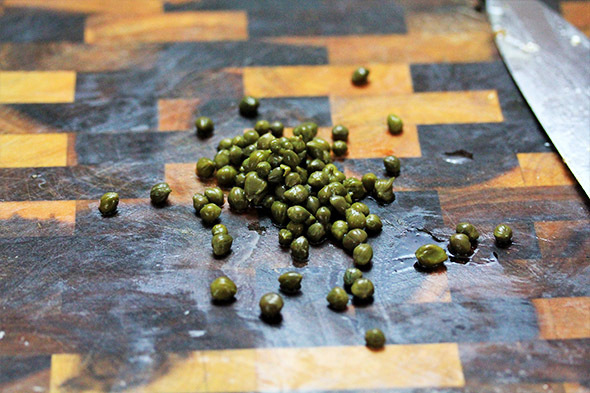 Add the capers, fresh herb, lemon zest, and lemon juice. Finally, stir in the cold butter until emulsified and melted thru. Set aside. Heat a large skillet over medium-high heat until searing hot. Season the fish with salt and pepper. 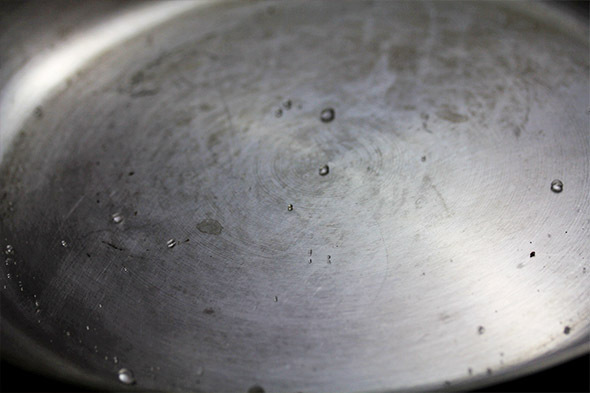 Test skillet’s level of heat with a few drops of water. 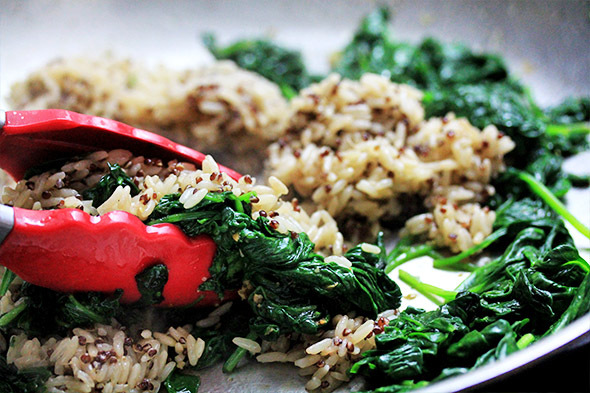 If water dances around the skillet, it’s ready. 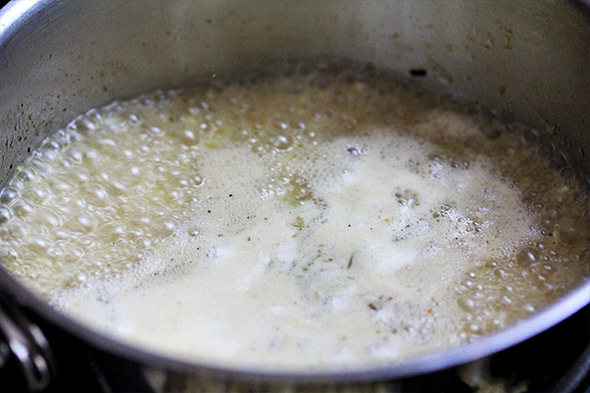 Add some oil, just enough to cover the bottom very thinly, you can always add more as you’re cooking. Oil should start to smoke (not terribly, just wisps), then immediately add the fish, making sure there’s enough oil under each piece to prevent sticking. 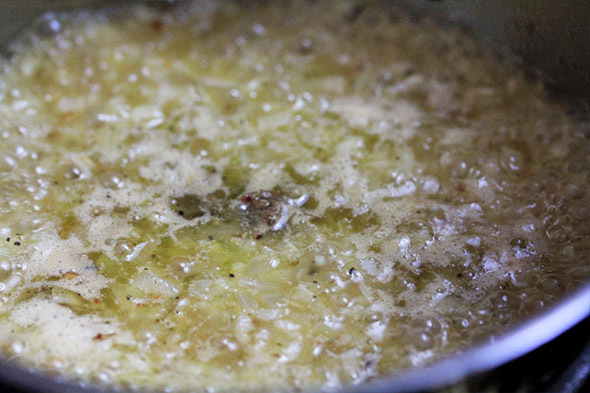 The should not be too much oil in the pan, we’re not deep-frying it, just giving it plenty of fat since it lacks its own. 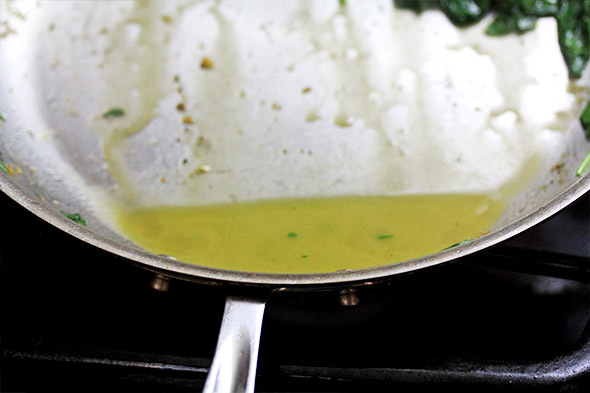 Make sure you swirl the pan around so that the oil gets around each side of the fish. If the pan is too dry, the fish will stick terribly. 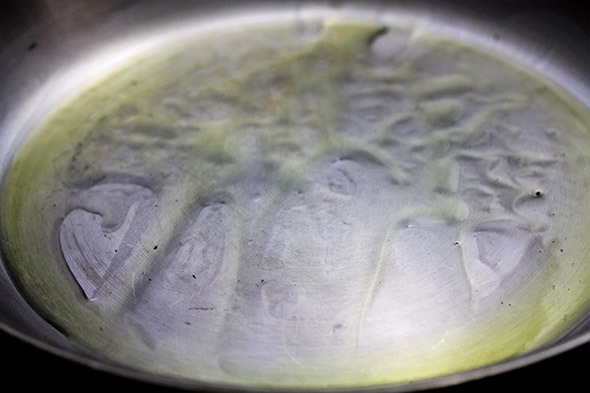 If using a non-stick skillet, a lot of these potential problems won’t be an issue. 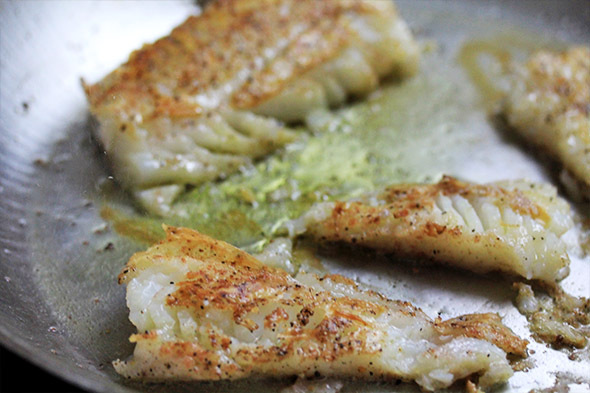 Leave the fish to sear until it releases somewhat easily from the pan. 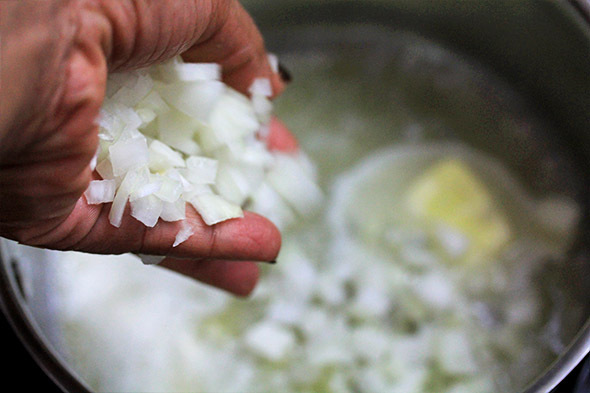 Depending on the size of your filets, the type of skillet, and the amount of oil used, this can take anywhere between 4 and 7 minutes. Once you’re able to flip the fish over, sear until the fish is cooked through. You can tell when it starts to flake and is opaque all the way thru. Set fish aside on a plate and keep warm under foil until ready to eat. 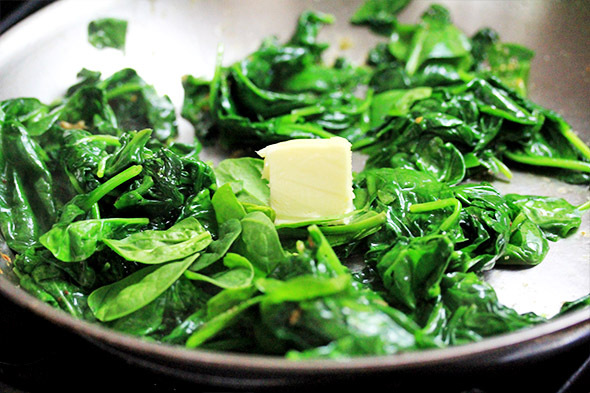 With whatever is left in the pan from the fish, add a little more oil if necessary and begin to sauté the spinach over medium heat. Season it up to your liking. When the very bottom layer is wilted, you can turn the heat off. The residual heat will continue to cook and wilt the spinach down. 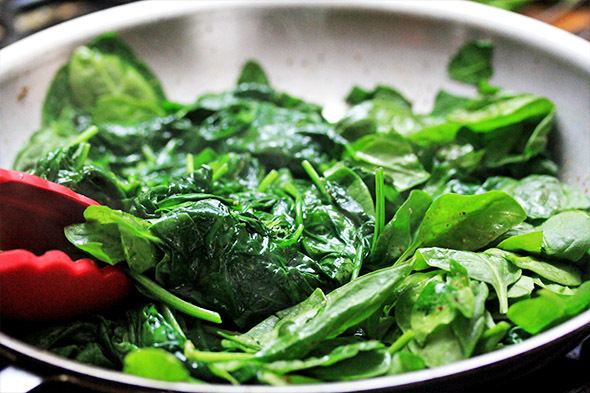 If you have an excess amount of spinach juice, you can drain some of it off, or keep it — it’s up to you. Add a little butter and toss through. 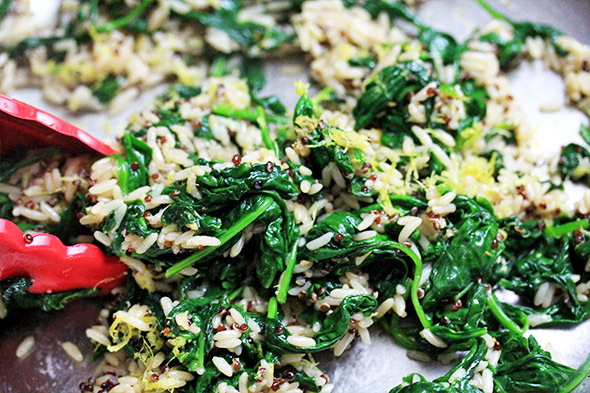 Microwave your 90-sec pouch of rice & quinoa mix, then add it to the sautéed spinach. 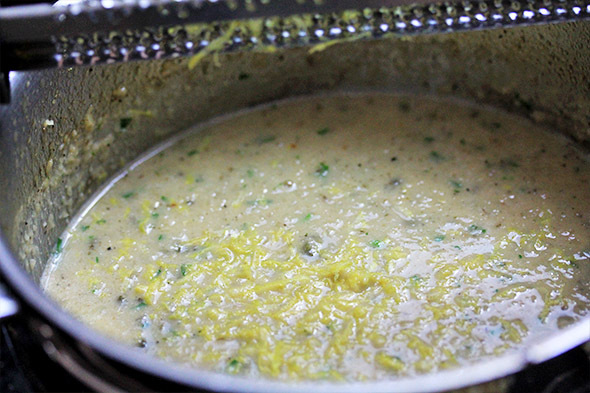 Gently mix until evenly combined, then add the zest of the lemon and some lemon juice if you’d like. Plate everything and serve immediately. If you are absolutely terrified of your skinless fish sticking, etc. 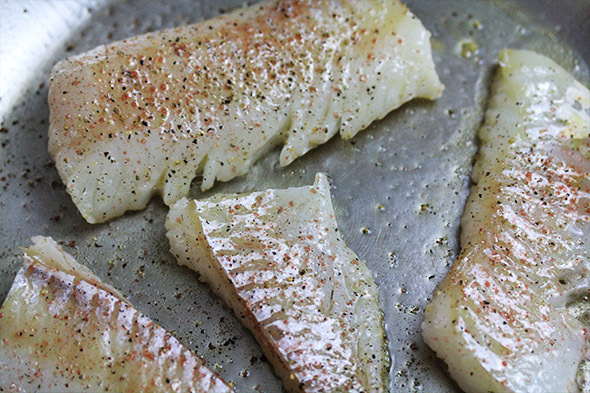 You can very lightly dust your cod with either a teaspoon of all-purpose flour, rice flour, or corn starch. 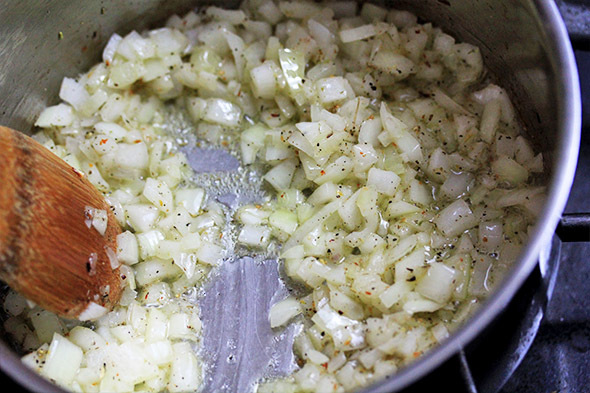 This will create a protective outer crust that will help it release better from your skillet. If using a non-stick skillet, do not use a metal spatula on it because you can ruin it. 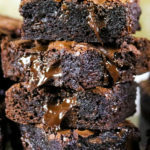 Great recipe!!! And you took me back with the Chesapeake Bay reference!!! That restaurant was the best!!! 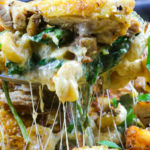 This recipe would have made a great video too!!! 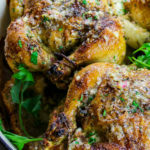 I made this wonderful delicious dish twice and change the meat Ftom fish to chicken and was a hit in my house. Thank you chef.